07.23.10 Backed by a collection of Hawaii's hard rock scene, former Rough Cutt / Quiet Riot frontman, Paul Shortino ripped through some of his own classics and schooled everyone under 40 on the ways of rock. Pipeline Cafe has seen a lot of faces, young and old, get up on that stage & try to win over their audience. Its hard for me to take a lot of newer rock acts seriously due to their inexperience & lack of emotion when they get up there. 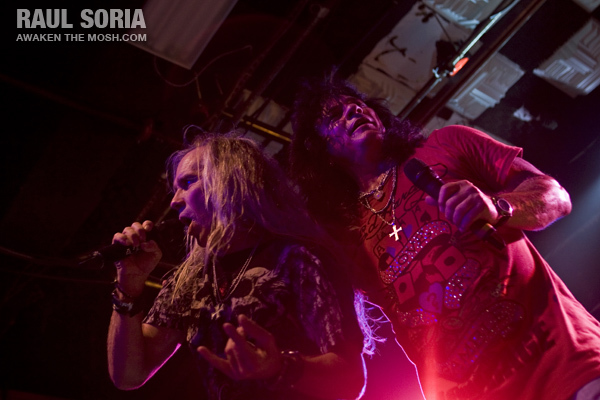 Paul Shortino on the other hand has history. He is what rock was, is and strives to be. His set was nothing short of incredibly epic. 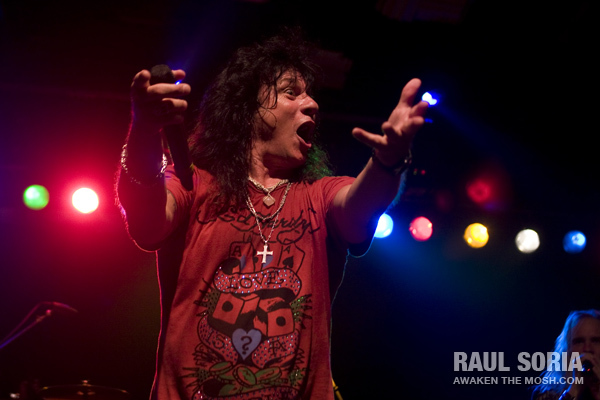 Belting out some of his own songs as well as a few hits from his time in Quiet Riot, Shortino never missed a note and never seized to enjoy every minute of it. As the night grew to a close the energy certainly didn't. During his last few songs, in true 80's style, he asked all the women in the audience to share the stage with him. Big Dawg frontman, Brett Wolfington, who was all smiles throughout the whole show, also grabbed a mic and belted out a few songs with his hero. I left a bit more educated and a whole lot more deaf from spending most of the night in front of the barricade face to face with the P.A. system trying to get my shot. The lights were blaring from behind, it was like shooting directly into a bus heading in my direction. Witnessing Paul Shortino just a few feet from the stage was absolutely incredible.